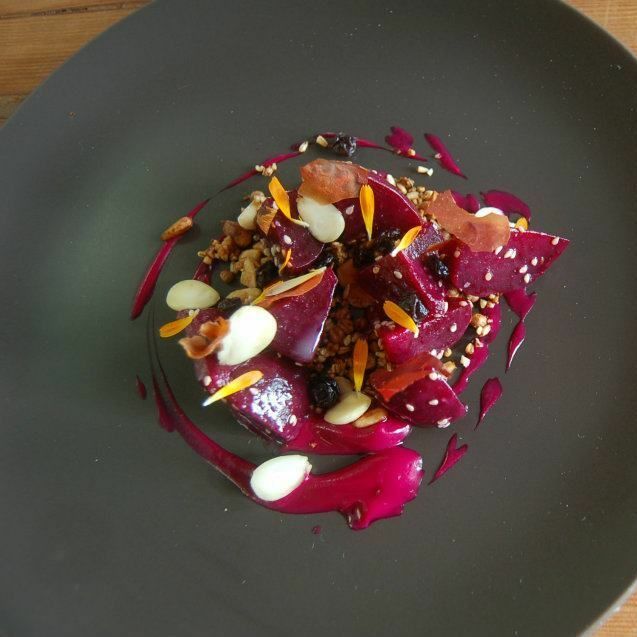 How many of these new eateries have you tried? Cavo is serving up more than just coffee. Missed the news about a hotspot that opened recently? Wondering what’s going in where? Houstonia's here to help you stay in the loop and discover new places to dine and imbibe. With June in full swing, the month has already brought the arrival of lots of places — including Balls Out Burger, Chapman & Kirby, N2 Ice Cream Cafe, Paik's Noodle, Poké Bowls and Rolls, Retrospect Coffee Bar, SeaSide Poke, South Bank Seafood, and Tamashi Ramen & Sushi—with even more on the way. 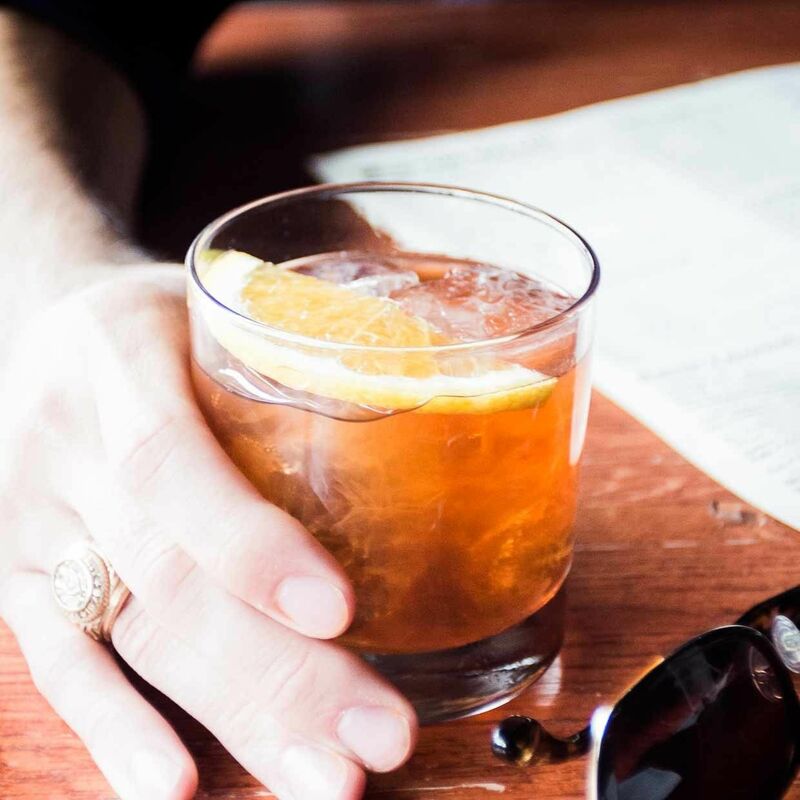 However, in a city as big as Houston (suburbs included), and its ever-changing bar and restaurant scene, it can be a challenge to stay on top of it all. This exhaustive guide serves as a helpful guide, chock full of (almost) every opening, closing, and coming attractions you may have missed in May—including long-awaited concepts from Houston’s heavy-hitters, out-of-town players, and home-grown spots flying under-the-radar. After much anticipation, Better Luck Tomorrow—the Heights drinking and dining establishment from Bobby Heugel (Anvil Bar & Refuge, The Pastry War) and James Beard Foundation award-winning chef Justin Yu (Oxheart)—is finally open at 544 Yale Street. The neighborhood spot, whose neon-lit décor is inspired by Dan Flavin’s art installation at the Menil's Richmond Hall, touts hyper-seasonal cocktails from bar manager Alex Negranza and operations director Terry Williams, plus Hot Star-style fried chicken and other casual bites from Oxheart alum chef Matt Boesen. Michael Caplan, co-owner of Montrose hangout Siphon Coffee, brings halogen siphons and artisanal toasts to new coffee bar Cavo. 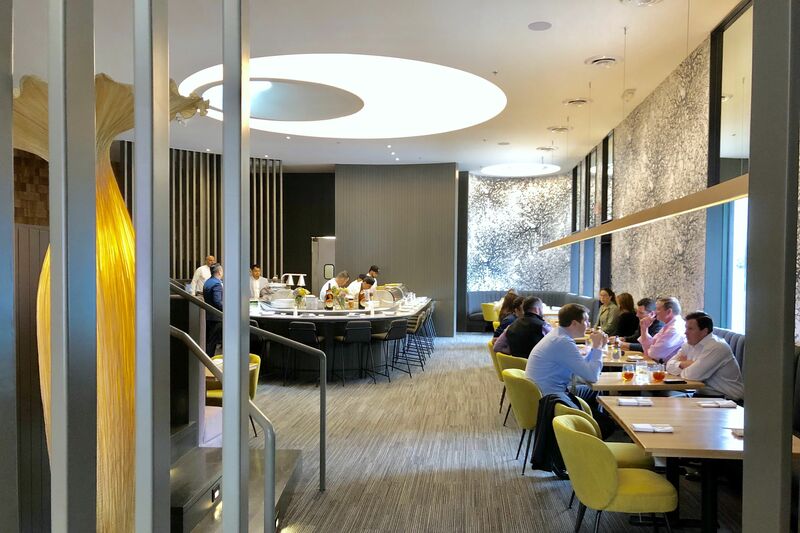 Situated in Regions Financial Center at 3773 Richmond Avenue in the Greenway Plaza area, Cavo serves up a variety of caffeinated beverages from lattes and espressos to tea alongside local brews and bubbles by the glass. The menu also includes sandwiches, pastries, and grab-and-go options. A new contender for best Sichuan has arrived in Chinatown. Tucked away in H-Mart-anchored Sterling Plaza, within the former Banana Leaf space, resides Los Angeles’ much buzzed-about Chengdu Taste. The Szechuan powerhouse from chef Tony Xu quietly opened with fiery dishes aplenty at 9896 Bellaire Boulevard, Suite A. Mouth-numbing specialties like mung bean jelly noodles and toothpick lamb are a must, but be forewarned, there may be a lengthy wait for a table. This BYOB restaurant fills quickly most evenings and does not accept reservations. 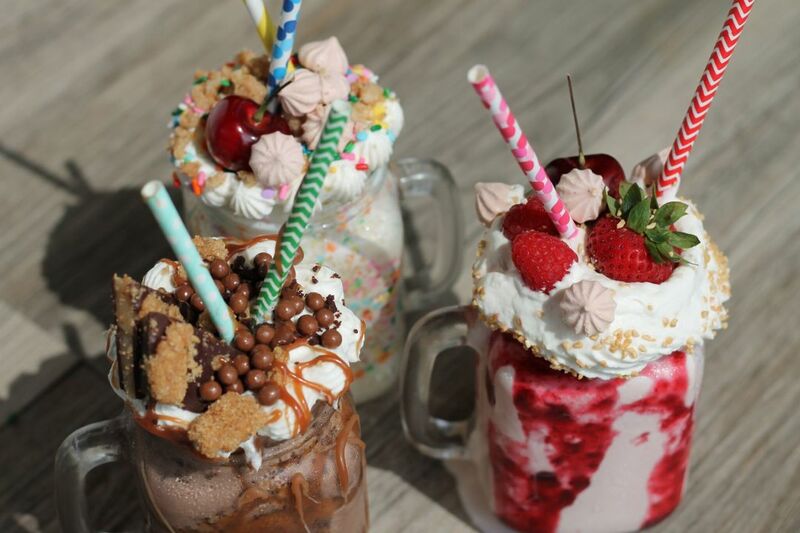 FM Kitchen + Bar's milkshakes are reason enough for a visit. 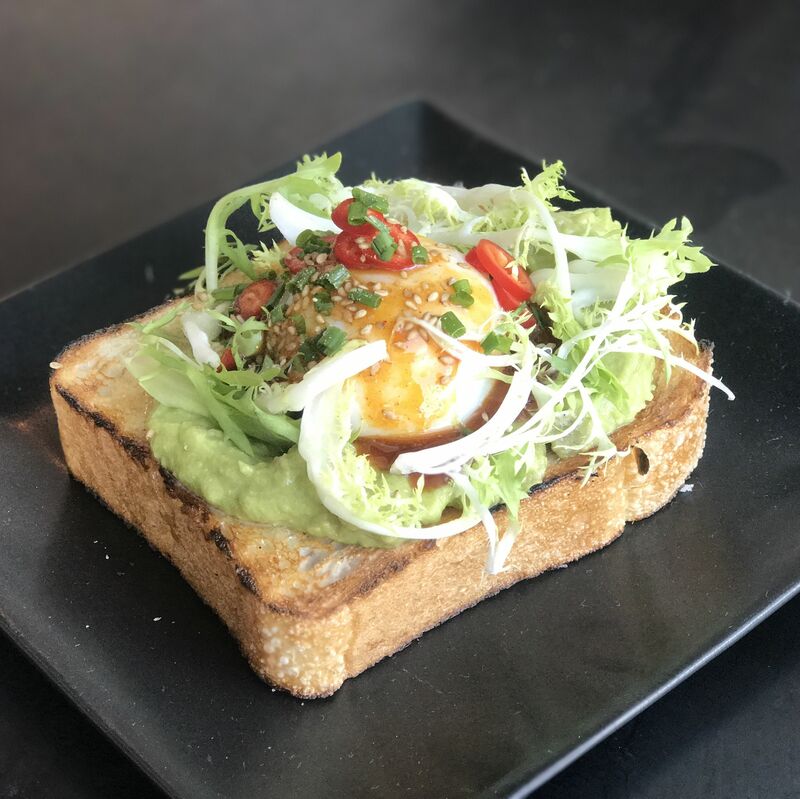 Following the closure of acclaimed Triniti Restaurant earlier this year, chef Ryan Hildebrand delves into the realm of comfort food at his new laid-back spot FM Kitchen + Bar, now open along the Washington Corridor at 1112 Shepherd Drive. Chicken-fried steak, smothered chops, Frito pie and a bevy of Southern classics headline the menu. Don’t miss the restaurant’s namesake burger, which pairs perfectly with a loaded milkshake. King’s BierHaus, the offshoot of Pearland’s King’s Biergarten, is pouring plenty of German brews at its sprawling Shady Acres digs at 2044 East T.C. Jester. The 400-seat beer hall and garden from father-son duo Hans and Philipp Sitter offers an expansive selection of suds on tap, plus boasts the largest schnapps roster in Texas. Although beer is the main attraction, other beverage options includes central European wines, craft cocktails, and lots of whiskey. As for the food, offerings range from traditional German fare such as Viennese goulash and Wiener schnitzel to American-style fried chicken and burgers, but gourmet sausages are king. After months of teasing dishes on Instagram, Mike Tran’s late-night haunt Ohn Korean Eatery finally arrived in Chinatown with a full lineup of Korean bar food and soju. Located in the Yun-Lu Center at 9630 Clarewood Drive, Suite 116, next to sister establishment Mein, the clubby-chic gastropub is already commanding a crowd. Look for donkkaseu (think the Korean version of the Japanese breaded pork cutlet dish tonkatsu), stir-fried rice cakes, smoked Seoul-inspired brisket, plus a variety of noodle and rice dishes, complemented by bottles of soju and Korean rice liquor makgeolli. There is also a slew of fermented rice wine-based cocktails on offer. The Branch, a neighborhood tavern at 7710 Long Point Road, is the craft-beer oasis Spring Branch has long yearned for, thanks to three industry veterans: Madeline Cabezut (former Underbelly sous chef), Kyle Pierson (former bar manager of Hay Merchant), and Amanda Mixon. 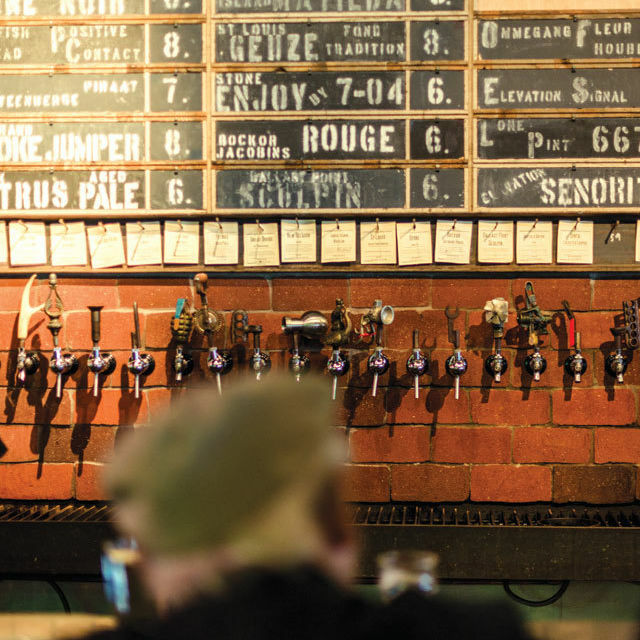 Kick back at the bar with one of 26 craft drafts on tap, including a host of local brews. Find stellar food options like out-of-the-gate favorites chiles en nogada — a nod to previous tenant Otilia's Mexican Restaurant’s pork stuffed poblano peppers— bulgogi bisteca, and a peanut butter patty melt smothered with caramelized onions and sandwiched between corn bread toast. Chef Jamie Zelko (formerly of Zelko Bistro) brings her farm-to-table approach to The Ivy & James, a casual eatery from Zelko, her wife Dalia, and partner Edgardo de la Garza. 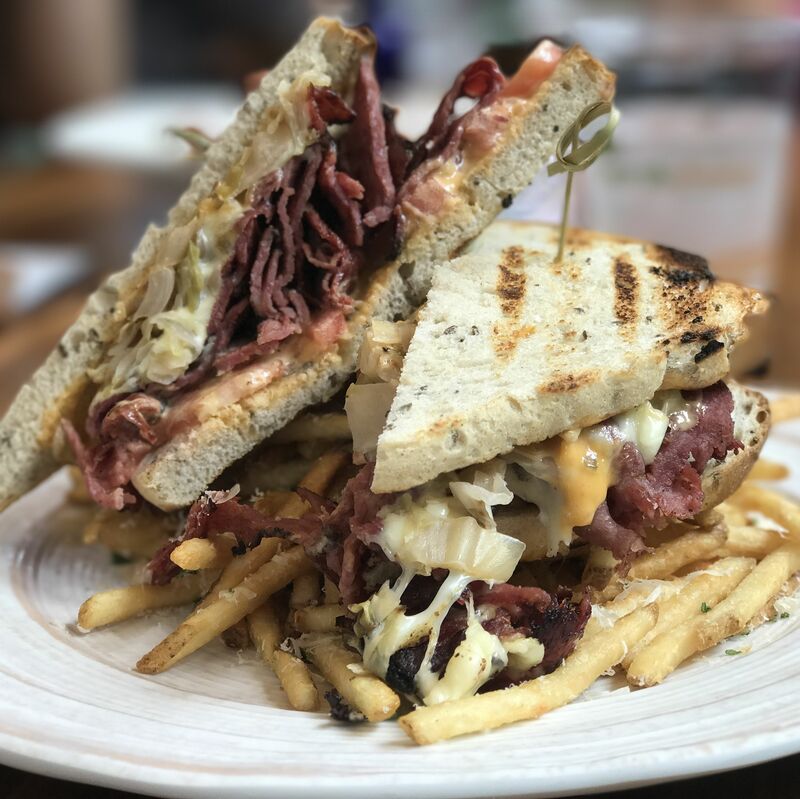 Nestled within Evelyn’s Park Conservancy at 4400 Bellaire Boulevard, the cheery spot, which features what Zelko dubs “New American comfort” food, offers substantial artisan sandwiches and flatbreads. Grab-and-go options are available as well for a spontaneous picnic in the park. 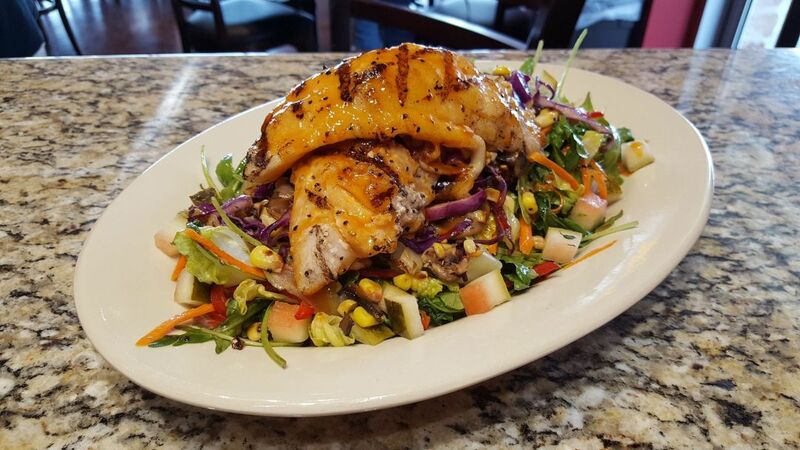 Cane Island Bar & Grill's watermelon-glazed snapper is served over a pickled watermelon rind salad. 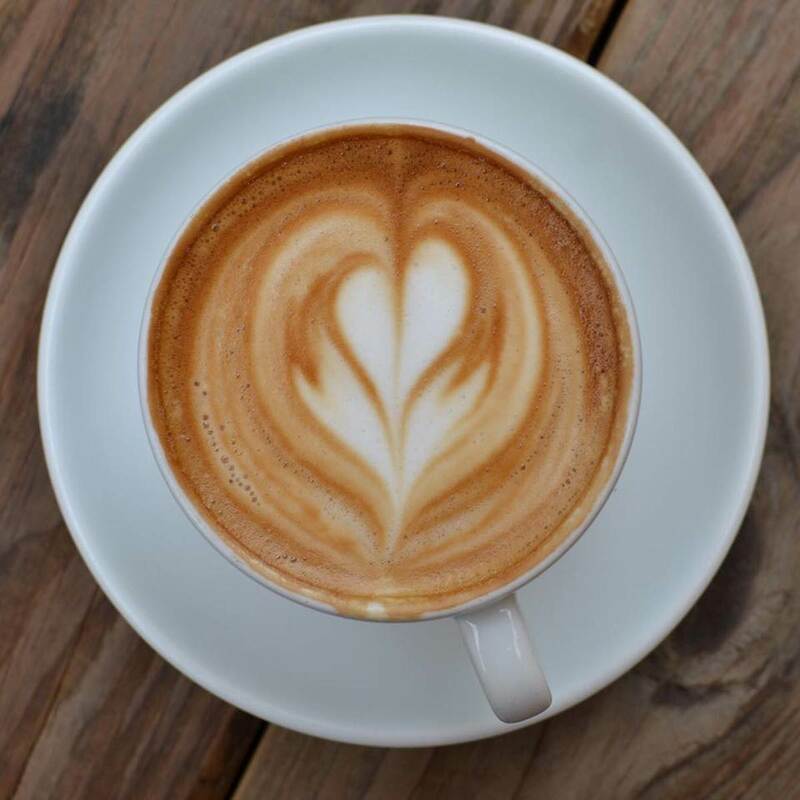 There has been a recent uptick in serious coffee haunts in the Spring area with the arrivals of Creative Grounds and Momentum Coffee. And there’s yet another quaint little shop drawing in java junkies: Barbarossa Coffee at 9222 Louetta Road, Suite 106. Come to this industry-chic cafe for coffee crafted from siphon and Chemex brewing methods, stay for the Belgium waffles, panini and other breakfast and lunch items on offer. Housed in a nondescript Katy strip mall at 4747 FM 1463, Cane Island Bar & Grill, is quickly becoming a casual neighborhood destination for hungry suburbanites. 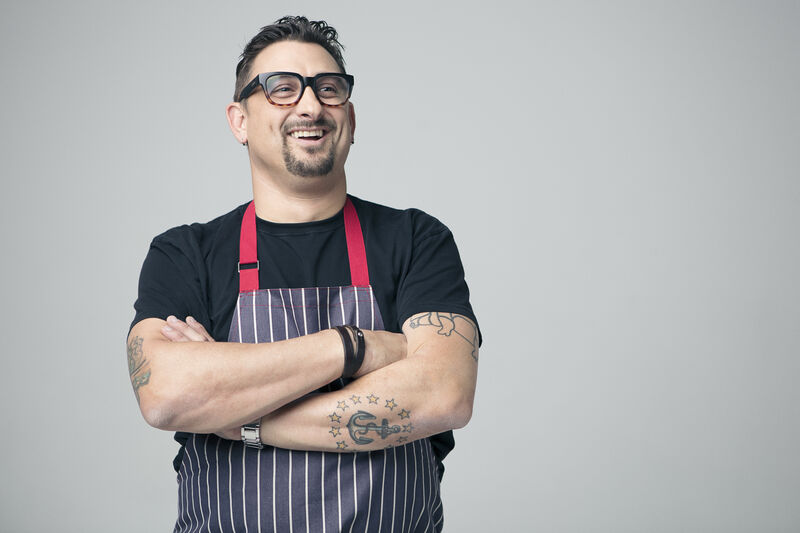 Cheffy takes on downhome Southern classics are the primary draw with a headlining classic combo of shrimp and grits, which gets an update with touches like cilantro and lime marinated shrimp atop smoked cheddar grits and charred pimento cheese. Wash it down with one of the many local beers on tap or choose from the short list of Texas distilled liquors. A slightly different take on the popular build-it-yourself pizza model has arrived in Katy’s Mason Creek Plaza. Billed as a “fast-fine dining” concept, LA-based moderately upscale chain MidiCi The Neapolitan Pizza Company, recently opened its first Houston-area outpost at 21784 Katy Freeway, Suite 100, offering Neapolitan pies baked in a Naples-built, wood-fired oven. MidiCi sticks to the Neapolitan pizza making guidelines of using flour imported from Naples, live yeast, water and sea salt for the dough. 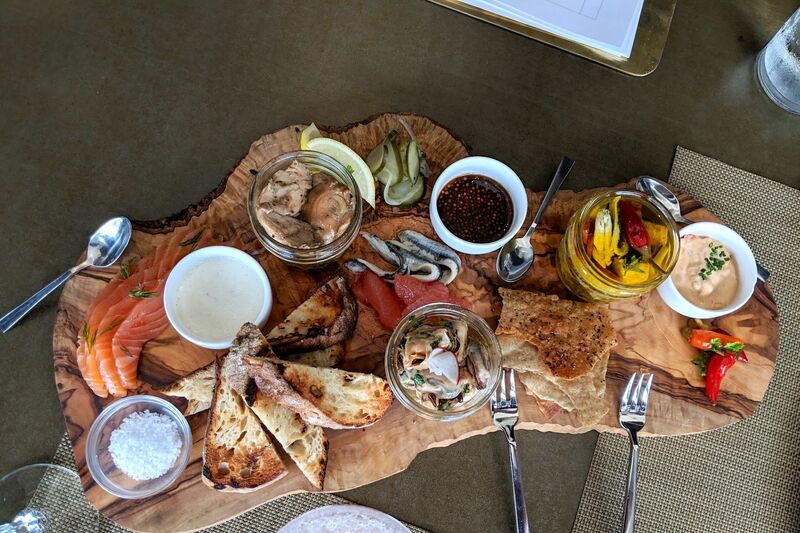 Beyond pizza, the menu also boasts housemade burrata and cheese boards. Look for additional locations to debut this year at Houston’s Kirby Grove and in Pearland. Old Moon Deli & Pie has opened at 408 23rd Street, bringing more sandwich and dessert options to the island of Galveston. The kitschy, brunch-only eatery with a penchant for whimsical cat- and dog-bedecked portraits, offers a variety of sandwiches, including some vegan options. Be sure to save room for a slice or two of Old Moon’s signature dark chocolate raspberry pie. It's all about beer at Tapped DraftHouse & Kitchen, now pouring at 20444 Kuykendahl Road, Suite D, in Spring. With 50 craft drafts and ciders dominating the drink lineup, this new brew-centric hub has something for everyone that even the most discerning hop-heads can enjoy. On the go? Grab a six-pack for takeaway or to-go growlers for filling. As for the food, the slim menu offers up pub versions of the usual suspects: pizzas, wings, soft pretzels, and salads. Get your java fix at Richmond’s new, latte-devoted spot The Perfect Latte at 7417 West Grand Parkway South, Suite 130. In addition to coffee beverages, the shop offers a variety of teas, smoothies, and light bites. Vallensons’ Brewing Company, now open at 4081 Rice Drier Road, is the latest addition to the ever-growing beer scene in the Houston-area, and Pearland’s second local suds-maker. The brewery features five flagship brews, three of which pay homage to Pearland’s history: The Depot Pale Ale (named after a local railroad depot), The Advocate Amber Ale (named after the city’s first newspaper), and Settlers' Oatmeal Stout. Look for the lineup to include small-batch seasonal brews too. 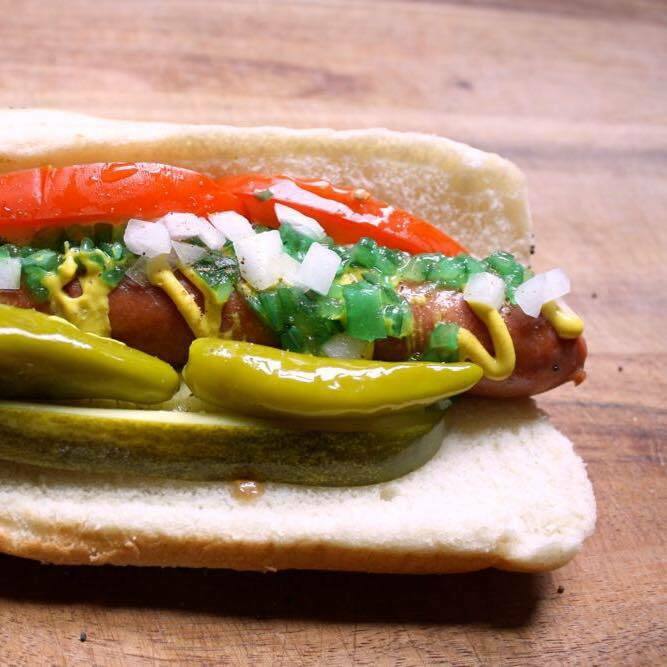 Bright Relish's Chicago dogs are stalking Houston's streets. Italian chain 4D Gelateria is now open at 5000 Katy Mills Circle inside Katy Mills Mall. The Katy shop serves as the first Texas outpost with a rotating selection of Italian-style ice cream and coffee beverages. Aiya Sushi & Ramen brings comforting bowls of noodles to League City. Not up for ramen? A variety of sushi rolls, rice bowls, and bar bites are on offer at this Japanese spot at 2860 South Gulf Freeway, Suite A. Find Chicago-style hot dogs at Bright Relish, a newly launched food truck roving the streets of Houston. Bud's Pitmaster BBQ, the updated reincarnation of owner Theldon "Bud" Branch’s Bud’s BBQ from the 1990’s, is now serving smoked meats and Southern-style sides in downtown Houston. 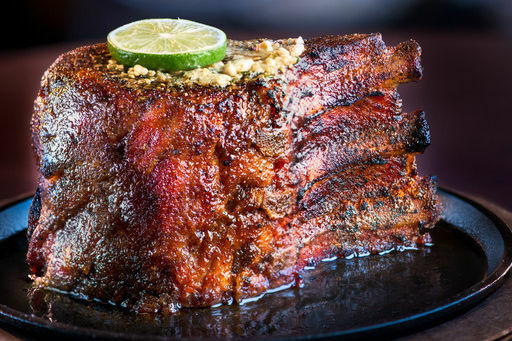 The barbecue joint joins Grotto Downtown, Pappadeaux’s Seafood Kitchen, and McAlister's Deli at George R. Brown’s Convention Center’s outdoor pedestrian plaza Avenida Houston at 1001 Avenida De Las Americas. Situated on the outskirts of the East End sits Calypto Burger, a Halal burger joint at 6199 Griggs. Coast Eatery + Bar, a laid-back watering hole that doubles as a casual seafood spot, is now open at 5111 Washington Avenue. Vietnamese spot De Nhu Y is now open at 13255 Bellaire Boulevard, a few doors down from Crown Seafood in Chinatown’s Lion Square Center. Find specialties like Vietnamese curried goat and hot pot on the menu. Eastwood’s, a no-frills neighborhood snack shop in the Second Ward, recently opened its doors at 4409 Canal Street with snow cones, hot dogs, wings and nachos rounding out the menu. Get your mangonada fix at El Roli’s Bites, a new refresquería at 14915 Bellaire Boulevard serving Mexican snacks and ice cream creations in the Sharpstown area. Hot Cool is the latest bubble tea hub to open at 9889 Bellaire Boulevard, Suite 207, in Chinatown’s bustling Dun Huang Plaza. IceStorm, an ice cream parlor and coffee shop in League City’s Pinnacle Park, is open at 2471 Gulf Freeway South. Find fun flavors like donut ice cream, along with gelato options from Trentino Gelato. Jambalaya King is now serving its namesake dish along with more Cajun favorites at 16430 West Lake Houston Parkway, Suite 800 in the Atascocita area. Juicy Crawfish offers just about everything that lives under the sea in its Meyerland-adjacent digs at 10425 South Post Oak. Find Cajun and Viet-Cajun-style crawfish, plus fried seafood offerings on the menu. La Takería, a stationary food truck posted up at 24527 Gosling in Spring, recently opened serving a variety of tortilla-wrapped deliciousness. OK, it's not poultry, but we're definitely craving a visit to Lollipop Chicken. Find Cajun seafood and chicken wings at Lollipop Chicken, a casual dining spot at 8244 Antoine Drive, Suite W, in the Antoine Plaza strip mall. Don’t miss the restaurant’s namesake dish, the much-buzzed about lobster roll, and short list of Thai plates. The family behind Post Oak haunt Masraff’s recently debuted Maclane's Cafe, a casual neighborhood eatery at 6395 Woodway Drive. This Tanglewood spot highlights American comfort food with dishes like fried chicken, mac ‘n’ cheese and burgers. Maga’s Cafe has opened at 1123 Dumble St. serving Mexican fare with a handful of Italian-American-inspired dishes in the mix. For early risers, this East End eatery also offers breakfast service. Situated in the the Centre at Timber Creek strip mall you’ll find Mom’s Chick n Rice, a hole-in-the-wall spot in northwest Houston serving a short menu featuring bulgogi, ramen and fried rice dishes at 5700 Highway 6 North. Play a game of bocce ball over a round of beers at NettBar, a new Washington Corridor watering hole and playground at 4504 Nett Street. With limited space inside, the backyard and outdoor patio area offer more than enough room for lounging with a frozen cocktail or two. Okome Don, one of several poke eateries debuting this year in Chinatown, soft opened in late May with build-your-own bowl options. Find this counter-service spot in the Bellaire Chinatown Center at 9938 Bellaire Boulevard, Suite B1, which sits adjacent to H-Mart-anchored Sterling Plaza. Despite its name, Olé Chicken is more than just a restaurant dishing out yardbird. This recently hatched eatery at 5630 North Eldridge Parkway mostly serves Korean fare in a hip space, which includes cupbops (basically Korean barbecue in a cup), grilled meat and rice combos, and Korean ramen. Other menu items to seek out are the signature spice-laden ole chicken and tornado potato, a spud creation identical to the spiraled-cut fave offered at this year’s rodeo. Bubble tea shop Polar Ice has opened at 1003 Dairy Ashford, Suite B, serving boba varieties, summery beverages and shaved snow desserts. Find downhome Southern dishes at Rena's Creole Cafe in Humble, now open and serving up classic soul food at 8790 FM 1960 Bypass Road, Suite A-100. Replacing Dickey’s Barbecue Pit in Tomball is Ribmasters BBQ, a mini East Texas-based smoked meat chain at 28155 Highway 249, Suite 2. Gather a group for some fun in the sun at Sideout Volleybar, a sand-covered volleyball court with an attached bar. Find this new summer hangout at 2623 Keene St., near sibling establishments White Oak Music Hall and Raven Tower. Find Turkish coffee, plus an arrary of Turkish baked goods at Simit and Poacha, now open at 12315 Westheimer, Suite D, in the Shops at Westheimer strip center. As the name indicates, this west side bakery and cafe specializes in simits—a skinny bagel-esque bread typically coated in sesame seeds. Slurping Noodles recently debuted in Cypress at 28404 Highway 290, Suite G19, with ramen aplenty. Situated in the Fairfield Town Center in Cypress, this dedicated ramen spot, which makes its noodles in house, also offers a short menu of tempura items and Japanese snacks. Taiwan-based T4 Tea For U, a bubble tea chain with locations around the globe, recently opened its first Houston outpost in Chinatown’s Dun Huang Plaza. Find milk-based boba, tea and housemade tapioca on the menu at 9888 Bellaire Boulevard, Suite 126. In another boon for the Cypress area, Tahini Plus Mediterranean Kitchen has opened at 6180 Highway 6 North, Suite A. The mom-and-pop spot features Mediterranean and Middle Eastern options served cafeteria-style including shawarma, kabobs and falafel. 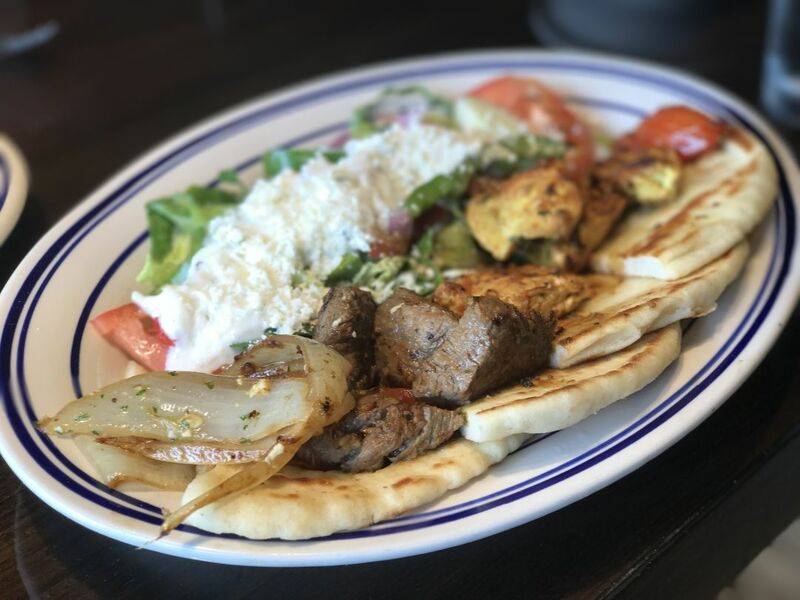 Find gyros and chicken-and-rice platters at The Gyro Guys, a halal Mediterranean and Middle Eastern spot inside a Citgo service station, now open at 245 Eldorado Boulevard in Webster. The Lost Cajun, a Louisiana-inspired eatery from Colorado, has opened its first Houston-area restaurant at 7042 FM 1960 East in Humble. Yoko Japanese Kitchen is now open with sushi, ramen and hibachi-grilled items at 28404 Highway 290, Suite G11 in Cypress’ Fairfield Town Center. Grocery shopping can work up an appetite, but thanks to H-E-B, customers can refuel at Yumai Sushi & Noodle Bar, an Asian-inspired eatery that recently opened within the grocery giant’s new Spring location at 20309 Champion Forest Drive. 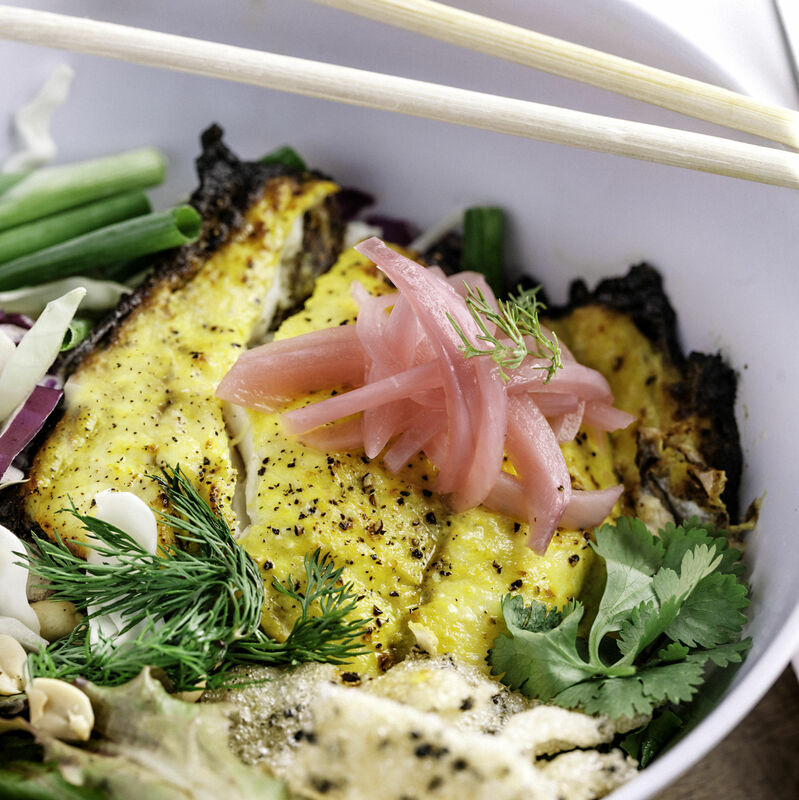 Hungry shoppers can order up a variety of noodle bowls, ramen, sushi, and small plates. It's easier than ever to find an Island Grill. Cajun hub 68 Crawfish & Seafood now has two locations on the southwest side. Find familiar offerings of po' boys and boiled seafood plates at 68 Crawfish Express, located at 11420 Dairy Ashford, Suite 100, a site previously occupied by Tea2Go in Sugar Land. Akashi Fusion Asian & Sushi Bar, a homegrown chain with locations popping up all over the Houston area, debuted its seventh restaurant in the West Lake Village retail center. Find Japanese and Chinese fare alongside assorted sushi and sashimi at 12230 West Lake Houston Parkway, Suite 200. 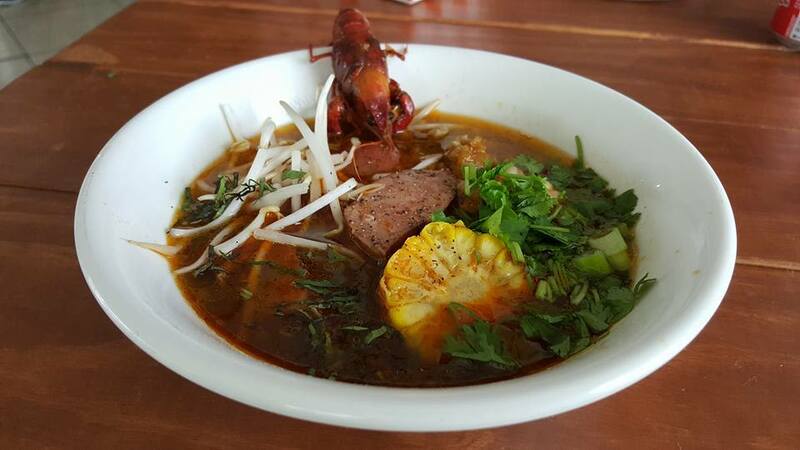 Bo Hue Co Do has taken over the former MyThi space at 14901 Highway 290 with Vietnamese fare on the menu, in particular its namesake spicy lemongrass beef soup with vermicelli noodles and ham hock. I Heart Boba has opened a fifth area location at 15951 FM 529, Suite 130, with its usual array of bubble teas, coffee and fruit smoothies. 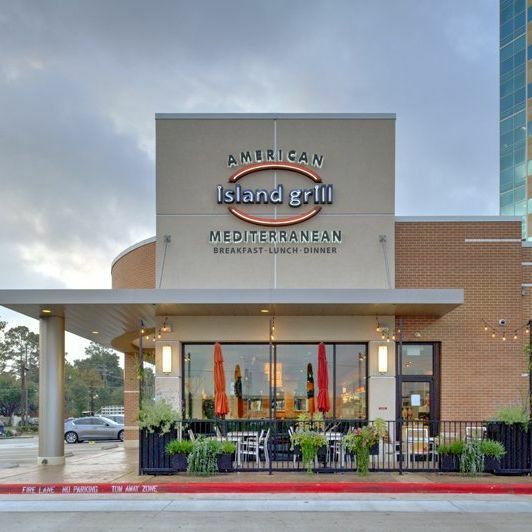 Island Grill is now serving its Mediterranean-American focused menu in Rice Village. Replacing Little Liberty at 2365 Rice Boulevard, Suite A, this new location marks the fourth outpost of the casual-dining spot from owners Faysal and Maria Haddad. Noodle soups, rice plates, more Vietnamese dishes round out the menu at Pho 18’s newest north side spot at 17118 West Little York Road, Suite 109-B. Mexican-Peruvian roast chicken chain Pollo Bravo recently opened a new location at 5801 Memorial Drive, Suite C in the Rice Military neighborhood. Sparkle’s Hamburger Spot brings its old-fashioned-style burgers to Houston’s southeast side at a new counter-service restaurant at 8800 Telephone Road. The southeast Houston outpost marks the third location for the local favorite. Taisho, a small-based hibachi chain, is now grilling meats and more at 9955 Barker Cypress, Suite 102, its newest location in The Boardwalk at Towne Lake development. Owner Joe Duong continues to create a mini-empire with his casual burger concept the Shack Burger Resort. 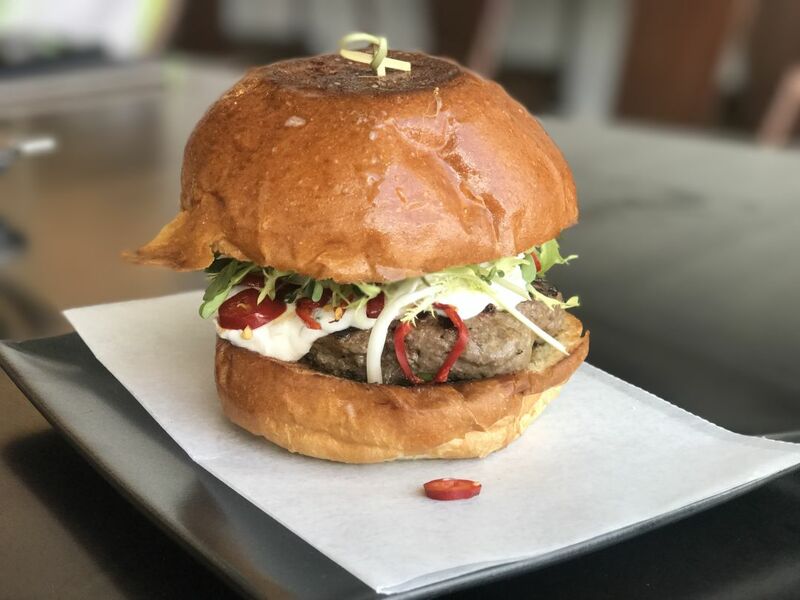 The latest location at 15719 Mueschke Road, resides in the Huber Tennis Ranch in Cypress, with inventive offerings that include the Grease Weasel burger stacked between two honeybuns. The second location of breakfast and lunch spot The Brooklyn Cafe is now open in Magnolia at 6606 FM 1488, Suite 100. The Teahouse Tapioca and Tea is now serving cream teas, smoothies, and a diverse array of blended brew options in its new Meyerland digs at 4926 Beechnut Road. 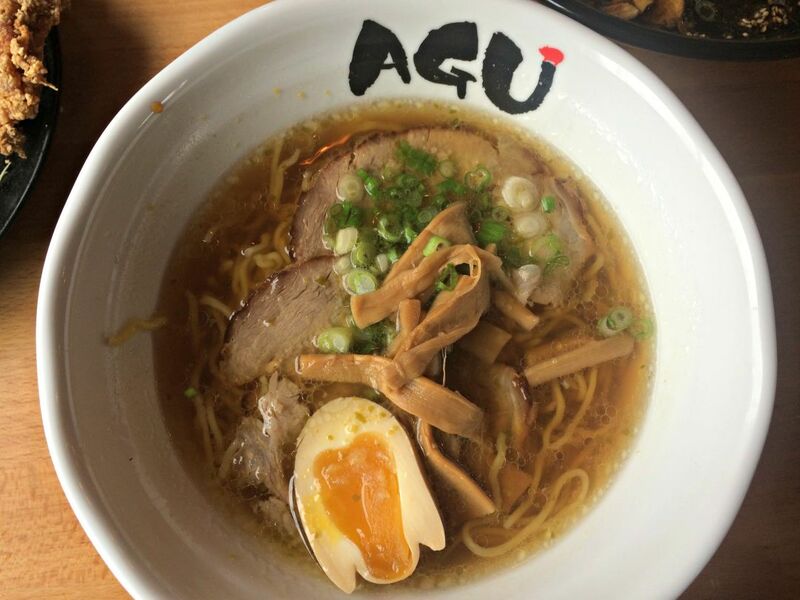 There are now seven locations of AGU Ramen Bistro is greater Houston. AGU Ramen Bistro’s whirlwind Houston expansion continues with two recently opened suburban outlets—Nassau Bay (1360 Nasa Parkway) and Sugar Land (2130 Lone Star Drive)—offering more than a dozen ramen varieties alongside Japanese small plates. 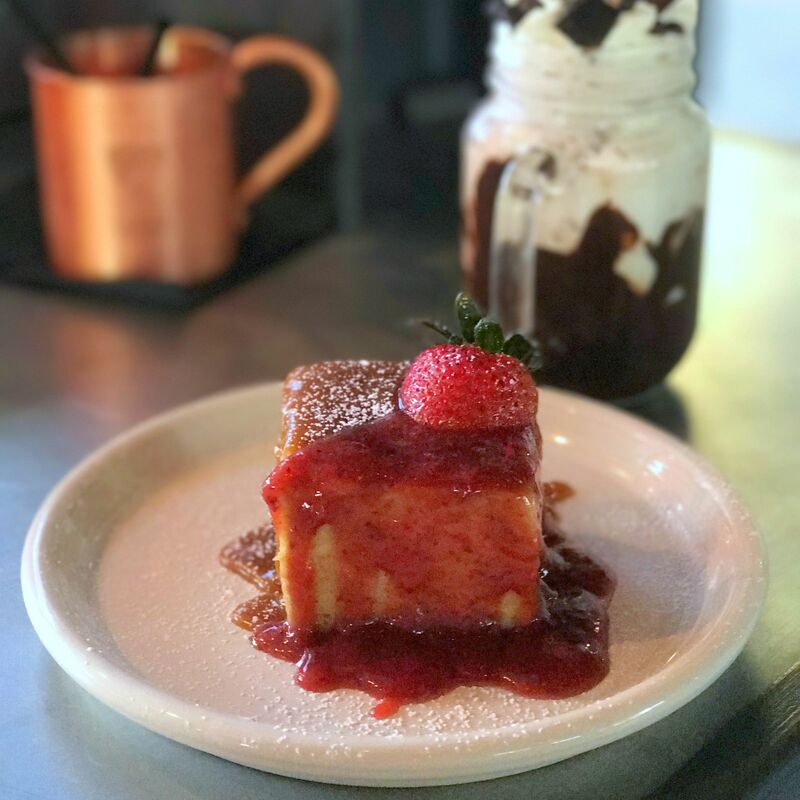 Bambu Drinks & Desserts, a Vietnamese-inspired cafe chain from California, is now serving its signature che desserts at 555 Spring Green Boulevard, Suite E, in Katy. Gastropub Bar Louie is now open at 16089 City Walk in Sugar Land Town Square. This is the fourth area location for the happy-hour focused spot, which is best known for its small plates selections and martini offerings. Frozen yogurt mega-chain Menchie’s is now swirling in Katy at 24600 Katy Freeway in the Shoppes at Parkwest retail center. Irish-themed drinking hub Mo's Irish Pub recently expanded to 23511 Katy Freeway in Katy. It’s the third Houston area location for the Milwaukee-based chain. Mississippi-based fast casual chain Newk’s Eatery has opened at 2715 Town Center Boulevard North in Sugar Land. The cafe-style restaurant serves salads, toasted sandwiches and soups. Torchy’s Taco is making more inroads in the Houston area. The Austin-born chain recently opened at 4529 Kingwood Drive, Suite 180 in Kingwood with an eclectic taco menu. Grab a cool treat and a selfie at Twistee Treat, an ice cream cone-shaped soft serve stand now open at 8880 Bellaire Boulevard, Suite P, in the Sharpstown area. This location marks the Orlando-based chain’s third Houston outpost. Fast-casual eatery Zaxby's is now open at 28030 Highway 290 in Cypress with chicken fingers, wings and chicken sandwiches. $ Café, Sandwiches 3773 Richmond Ave.